As soon as your radiators have passed their tests (pressure test and quality control) we will contact you to arrange for your cast iron radiator delivery. For all our radiators next day delivery is available. We strongly advise that you do not book your plumber or fitter until you have everything safely on site. We can also offer you a requested before 12pm radiator delivery. Radiator delivery takes place between 8.30am and 5.30pm. 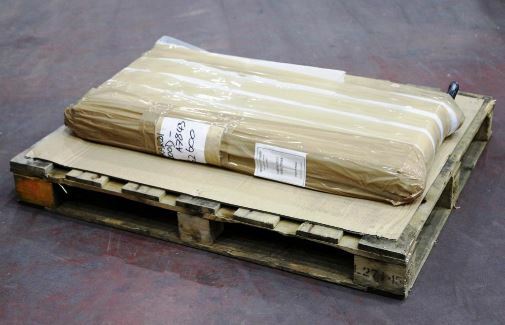 Your pallet will leave the factory (Carron) and will then be moved overnight to your local pallet depot, there are many pallet depots covering the whole of the UK. Your local depotdeals with your radiator delivery, and we can obtain an estimated time of delivery. We are normally told this on the morning of your delivery, just after 10am when the delivery routes have been organised by the delivery depot. 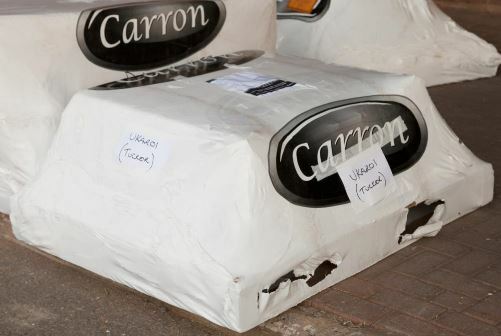 The images below show how radiators are packed at the Carron Factory. This pallet has one large radiator on it - just awaiting the final wrapping. 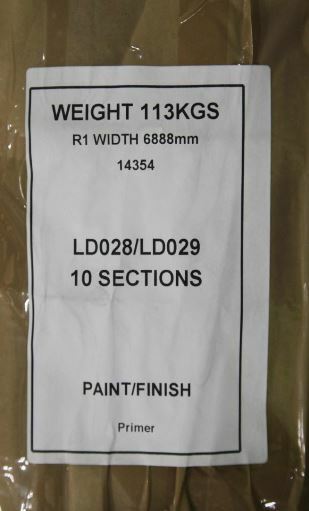 Each radiator is labelled with the radiator style, finish and the weight. Depending on how soon you want your new radiators next day delivery is available. 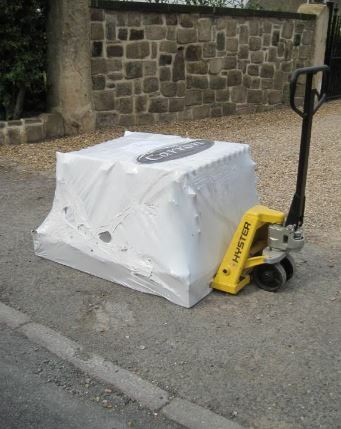 The two images below show radiator deliverywith a manually operated pallet truck. The Driver will lower your pallet to the floor using the tail lift. The driver will then use the pump truck similar to the one below (please note this pump truck which is designed to carry heavy loads will only operate on a smooth surface. i.e. 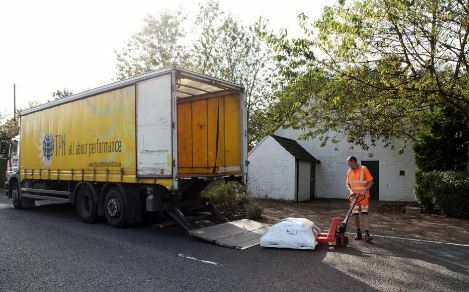 tarmac) to your kerbside. In order to ensure the safe handling of your radiator, please follow the guidelines as detailed below. Cast iron radiators are very heavy. You must ensure that adequate and appropriate lifting equipment is used whilst manoeuvring your radiators into position. The most common cause of leaks is the strain on the gaskets when carrying the radiator. Ensure that your cast iron radiator is only moved in the upright position once removed from the pallet to prevent flexing of the seals. 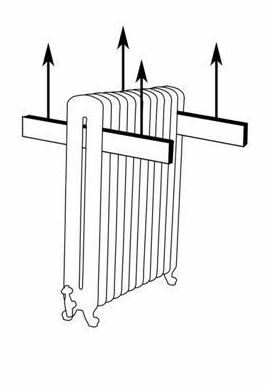 The most common method is to support the radiator between the fins by using a suitable support bar at each end as illustrated below. Don't forget to register your new product guarantee online. View our full range of cast iron radiators online today.